Many times the virus can attack on your laptop or desktop computer and it can delete document files as well as media files including photos, videos, music files, etc. It can also disable the search option and task manager in your Windows system. At this time, some users use System Restore in the hope of recovering computer and getting data back. However, System Restore isn’t intended for backing up personal files, so it cannot help you recover a personal file that has been deleted. You should regularly backup files and important data using a backup program. 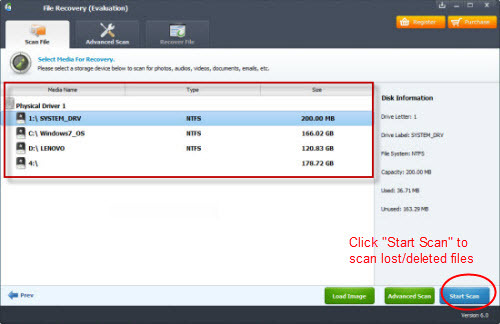 If you have backed up all your files, you can easily retrieve lost files from backups. But you can face trouble if you never backed up the data because after formatting a hard drive, the entire data will get erased. You are in a conflict situation that you should format or not and if I format then how will I get my files back after a virus attack? UFUSoft File Recovery software makes it possible to recover hidden files from virus. It performs a rigorous scan of the drive and recovers virus deleted files of various types, including photos, videos, audios, docs, xlsx, archives, and more. The recovery can be performed within few simple clicks. How to Recover Files Deleted/Lost/Missing by Virus Attack? Step1:First donwload and install this UFUSoft File Recovery software in a healthy computer. 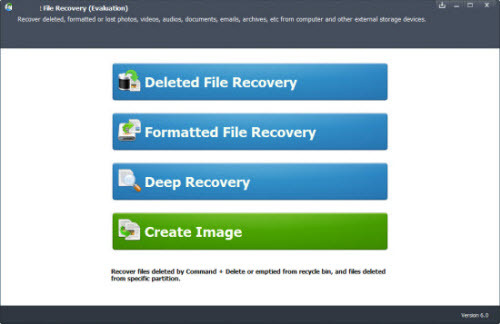 Then run it and select “Recover Files” option from the main page. Step2: From the second screen select “Drive” from which you have lost files after virus attack and then click on “Next” option to start recovery process. Step3: Once you clicked on “Next” option, the File Recovery Virus Attack software will scan entire drive and dispalys the list of recovered files.